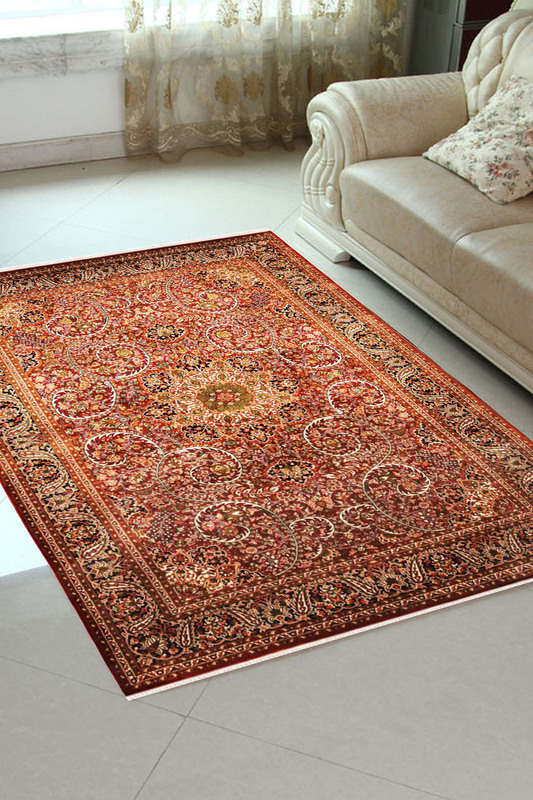 Medium size Nain Chakra Kashan silk Rug in red color at best price. - The Nain Chakra Kashan is from our limited edition collection and has a very exquisite design. - The center of the rug has a curvilinear design pattern in ivory on a smooth red background. - The medallion which is embedded right in the middle is floral in design and has petals on all sides. - The design is kashan tabriz and has been originated in Persia. - Perfect for a formal living room or as a wall hanging. - It has taken about 6-8 months to weave this beauty by our skilled artisans.